While routine cleanings are typically the only reason carpets are left damp, accidents happen, and facility cleaning staff should be prepared for anything from a coffee spill to a flood. Placing a fan on the spill area should cut dry times by about 50 percent, he adds. Wet/dry vacuums also come in handy when carpets are saturated due to spills or leaks. “If you had a burst pipe, you could use the wet/dry vac to get excess water out and speed up the process,” says Poole. Custodians should also set up safety parameters and signage while the area is drying. Occasional spills may be easily dealt with, but facility cleaning executives may find themselves ill prepared in the unlikely event of a leak or flood that not only saturates the carpet, but seeps into the subfloor or walls. First and foremost, prevention is better than cure. According to Yeadon, when carpeting is wet as a result of water damage, the same principles apply for optimum drying: Air flow and time. If carpets are waterlogged due to flooding, Yeadon recommends placing one air mover every 10 to 16 feet along the wall. Over-saturated carpets may also call for a dehumidifier. As moisture evaporates into the air, properly placed dehumidifiers will prevent it from being re-deposited on the carpet. Managers might actually be surprised by how much moisture comes out of a dehumidifier, even in situations where water or flooding is minimal. In a flood situation, however, dehumidifiers are an essential step in the drying process. Sometimes facility cleaning personnel set up the dehumidifiers before the extraction process because it takes time for them to start operating. In a flood scenario, the carpet will dry first, followed by the padding, and finally the subflooring, as moisture wicks to the surface and evaporates. Even when the carpet feels dry to the touch, Yeadon recommends leaving the dehumidifiers on. Yeadon also recommends using a moisture probe if the carpet has padding underneath it. This can be used to determine whether or not it has dried properly. 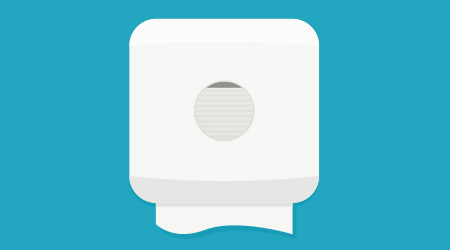 These moisture sensors can detect moisture in carpets, drywall and wood. Finally, facility cleaning managers should know when to throw in the towel and call for help. Not all situations can or should be handled in-house. Fortunately most facilities will never have to face these worst-case scenarios. In general, drying carpets quickly and efficiently should be a matter of common sense and following a few basic steps.